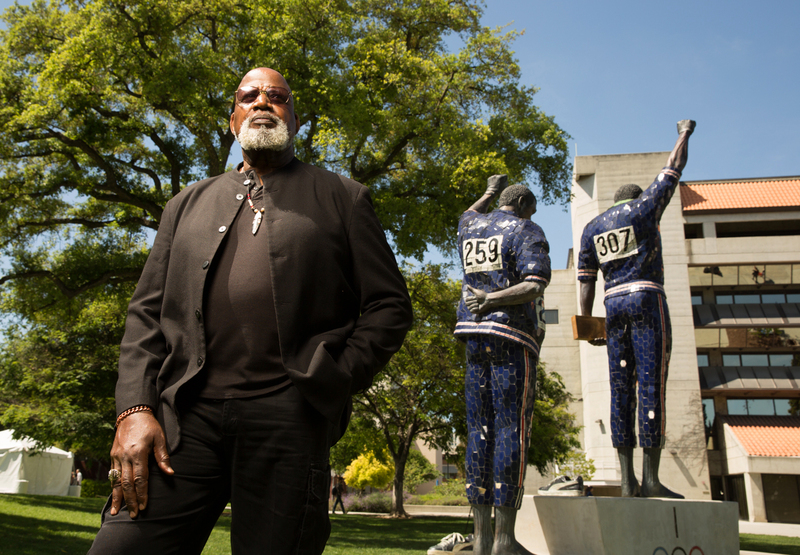 Harry Edwards, ‘64 Sociology, ‘16 Honorary Doctorate, has returned to San Jose State to continue a conversation he started 50 years ago about sport and social change. Considered the father of the sociology of sport, Edwards’ career as a professor, athlete-activist and consultant spans five decades and continues to impact the dialogue about sport, social justice and sociology. 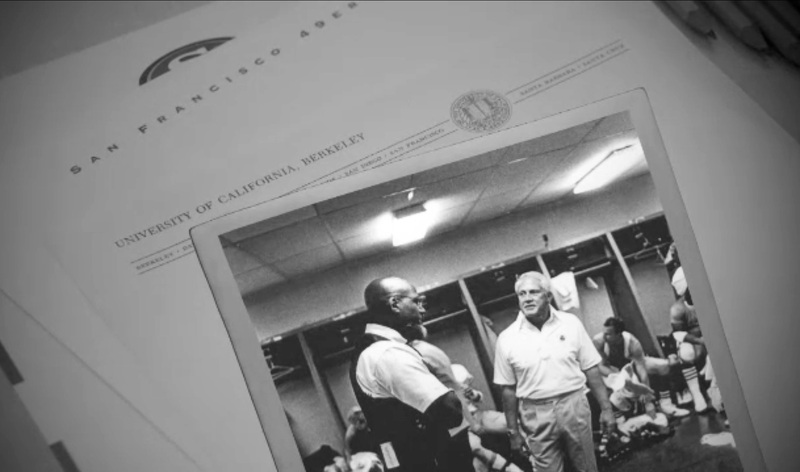 In an effort to bring his legacy home to his alma mater, San Jose State, he established the Institute for the Study of Sport, Society and Social Change in 2017. (San Jose State University Special Collections and Archives). What is the mission of the Institute for the Study of Sport, Society and Social Change? Why SJSU? San Jose State is the logical place to house an institute whose principal mission involves the disciplined exploration, analyses and explanation of current developments germane to sport, society and social change, and to frame those developments in relationship to the broader contexts of both history and more current trajectories of events. SJSU has a long and storied history as an institution at the center of sport and social change. 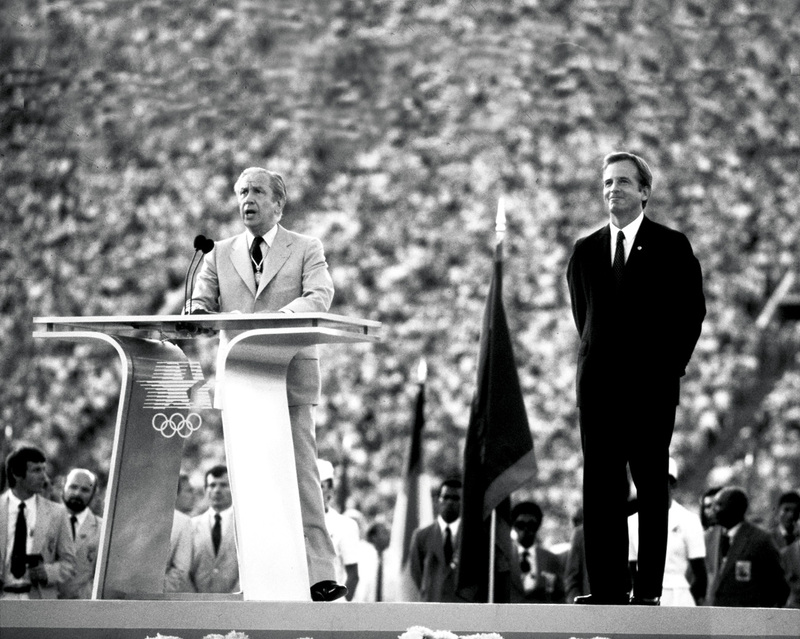 Alumnus Peter Ueberroth, in his role as head of the 1984 Los Angeles Olympic Organizing Committee, fundamentally re-conceived and changed the processes of financing the modern Olympics. Following an era of locker room desegregation led by Jackie Robinson, SJSU alumnus Bill Walsh collaborated with me in expanding front office and coaching opportunities for minorities and women in the National Football League. Alumni Tommie Smith and John Carlos staged a protest against racial injustice and inequality at the 1968 Mexico City Olympics that resulted in what is judged by many today to be the most iconic sports image of the 20th century. The Smith-Carlos protest was only one enduring legacy of the Olympic Project for Human Rights, which I organized during my time as a second-year instructor at San Jose State. The OPHR also brought attention to broader institutionalized racial injustices and inequalities, and not only contributed to changing the way we perceive and understand sports, but America as a society and a nation. All of this and more was spawned by an SJSU climate conducive to fostering intellectual curiosity bonded with courage, an academic environment that encouraged the exploration of change while nurturing a regard for past legacies of achievement and contribution. In retrospect, it is abundantly clear that much of the history of American and world sport over the last 50 years—collegiate, professional or Olympic—is grounded in and generated by people, developments and events inextricably associated with San Jose State. 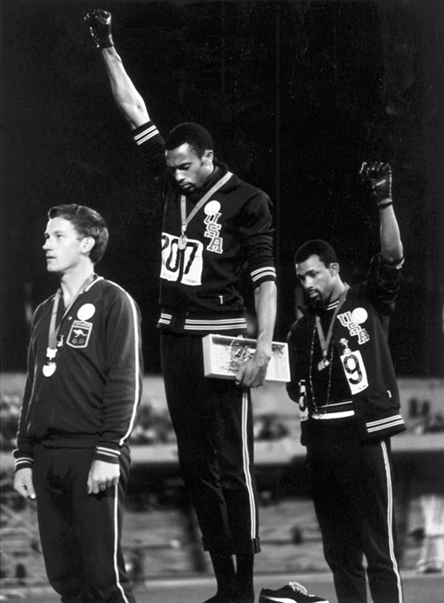 How is athlete activism different today? We’re in an era now substantially dominated by the impact and pervasive influence of social media and the Internet, where instantaneous communication has put a premium on clarity and validity of perspectives and analysis. Sport is particularly significant in this environment because of the stature and status of the athlete, owing principally to their ability to express themselves over social media. Colin Kaepernick’s activist journey did not begin when he first sat or knelt on the sideline during the playing of the national anthem; it came when he began posting Twitter messages to his one million Twitter followers and explaining his actions to those who responded to what he ultimately did. All of that came out over social media. The same is true with the players from the University of Missouri. When they announced that they were supporting the black student protests on campus and demands that the university president step down, they posted a photo they took with their statement over social media. The same is true with the Miami Heat hoodie demonstration in the wake of the killing of Trayvon Martin and the St. Louis Rams, the football players who ran out on the field with a “don’t shoot” gesture. All of these gestures went viral on social media. The statement [about gun violence and racial profiling] that was presented at the 2016 ESPYs by Carmelo Anthony, LeBron James, Chris Paul and Dwayne Wade was elaborated on social media. We are making an effort to link the last half of the 20th century with the first two decades of the 21st, and to put in context where we are today, why we are having this activist awakening in sports now, and what is the likely trajectory of developments ahead, in terms of young professional and collegiate athletes. 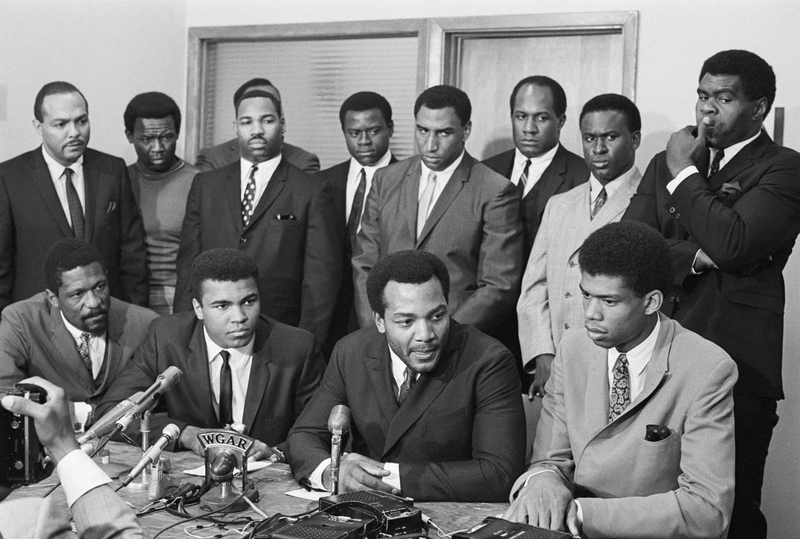 In 1967, Kareem Abdul-Jabbar, Jim Brown, Bill Russell and others got together to support Muhammad Ali. Abdul-Jabbar and Brown joined us at our Institute launch in January 2017, as well as a new generation of athletes, including Chris Webber, whose professional career came through in the 1990s, and Anquan Boldin and Takeo Spikes, NFL pros who talked about this current generation of athletes. At the end of the day, whatever lies ahead politically, I believe that America is going to be fine. We are going to come out of this era of athlete activism better as a society, as a people and as a nation. And in this struggle to change America, the key is to listen and talk to each other. What actions do you recommend people take in an effort to join this movement or support the institute? The greatest thing that people can do is listen, learn from and talk to each other. Relative to the current era of activism in sports, we need try to understand the message that these athletes and coaches are endeavoring to express: That we have major problems in this country revolving around race, immigration, misogyny, xenophobia, religious bigotry and injustice. We have to address these issues. For us to sweep these concerns under the rug is not helpful. In a globalized and highly competitive world, it is suicidal. I know that in most of these instances, where athletes are speaking out (and it is going to intensify in the Trump era, not wane), the majority of the people sitting in the stands disagree with the perspectives that an increasing number of athletes and other sports figures, including coaches, are projecting. Given their class and other demographic characteristics, it is likely that a substantial majority of the season ticket holders disagree with the sentiments of the likes of Colin Kaepernick, LeBron James and Carmelo Anthony. They likely disagree with the sentiments of the Seattle Seahawks and other teams that have taken a stand. A lot of those season ticket holders voted for Trump. We have a tremendous gap that we have to bridge, a gap between police and communities, a gap between fans and athletes, etc. The way that we do it is to begin to listen to and learn from each other. I hope that the institute will function to help create bridges to mutual understanding. If the institute can accomplish and contribute that much, if it provokes and promotes people listening to each other, thinking about and paying attention to issues of mutual concern and interest, then we will have accomplished and contributed something more toward continuing an already celebrated and illustrious San Jose State. How does sport influence social justice? Learn more about the Institute for the Study of Sport, Society and Social Change. 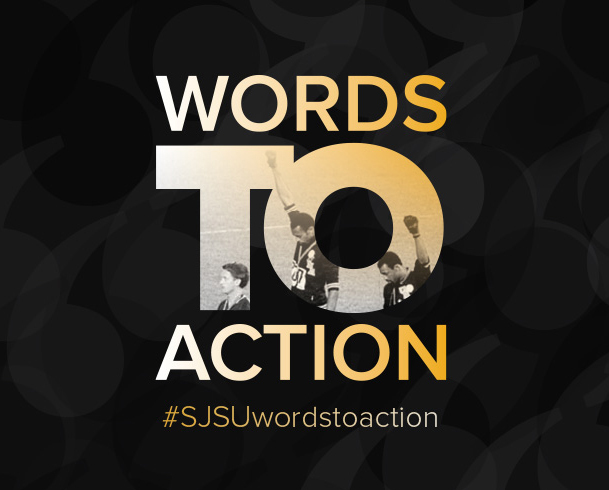 Use #SJSUwordstoaction to join the conversation on social media. Dr. Edwards and the new Institute will provide an opportunity for students and scholars to re-envision the role of sports in American culture. The African American Studies Department and its scholars look forward to the opportunity to engage in the discourse and other activities of the new Institute of Sport, Society and Social Change. I look forward to hearing what Mr. Edwards and the panels has to say. I also look forward to hearing what I can do as a citizen to help move forward the Human Rights cause. This nation has come far but not far enough just yet. I hope to be a part of the movement that will one day soon make this world a better place to live for all. Go, SJSU!